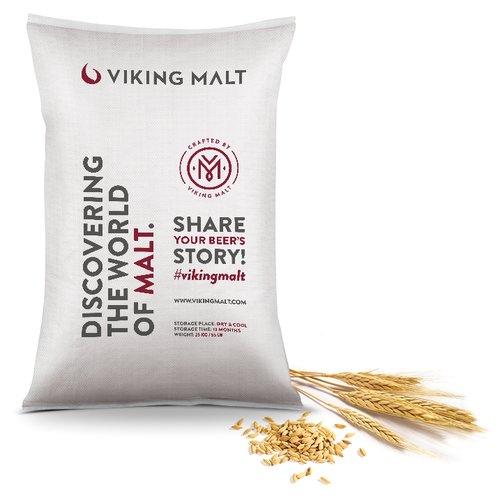 3.2-4.3 °L - Viking Vienna Malt is cured at slightly higher temperatures than pilsner malt. Consequently Vienna Malt gives a golden colored beer and increases body and fullness. Due to the higher curing temperature, the enzyme activity of Vienna Malt is slightly lower than that of pilsner malt. Flavor of Vienna Malt is subtle, including maltiness, some sweetness and hints of caramel aromas. Slightly nutty sensations can also be found. Vienna Malt is well suited for relatively pale colored beers. Typical application is to enhance color and aroma of light beers. Vienna also has its own beer type, Vienna lager, which is famous for its deep golden color and malty taste.